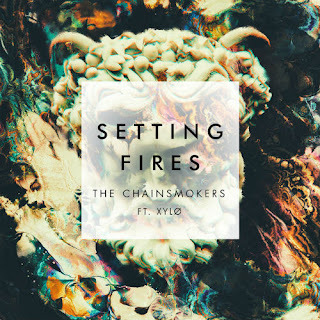 Great White DJ: "I Keep Going On and On, Setting Fires to Keep You Warm"
"I Keep Going On and On, Setting Fires to Keep You Warm"
In case you missed it, The Chainsmokers released a new five song Collage EP last week. I'd pause on calling the release newsworthy because it's basically a bundling of their previous four singles and one new song. Even though I may have cheapened the release by not characterizing it as newsworthy, it's worth mentioning that being able to purchase the likes of All We Know, Closer, Inside Out, and Don't Let Me Down on one EP is legendary. Those four songs represent some of their best work and are now to thank for them becoming a pop culture mainstay.